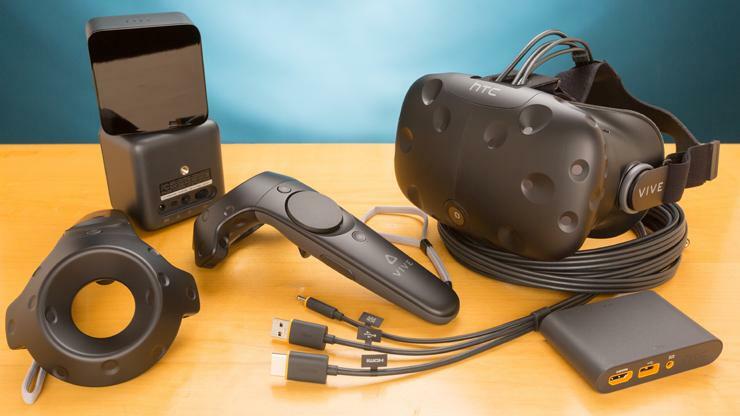 Home Reviews HTC Vive & Oculus Rift: Buy Now or Wait for Second Generation? HTC Vive & Oculus Rift: Buy Now or Wait for Second Generation? The answer to this question comes more from a personal perspective and/or preference, rather than some logical reasoning. Let’s examine both of the popular headsets. The initial price tag of $800 is now sitting at $500. 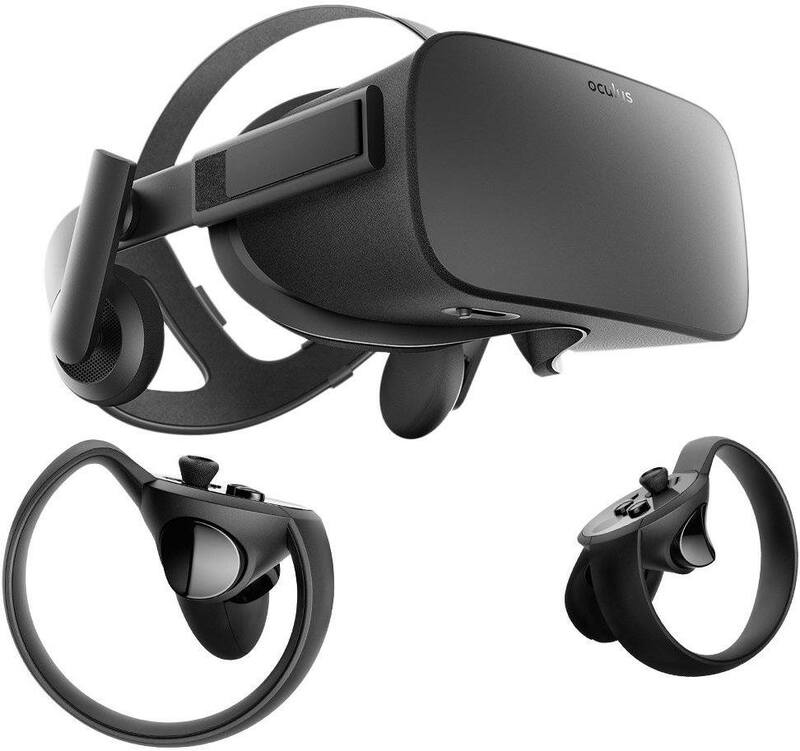 The most recent Summer of Rift price cut to a very affordable $400 price point is now over, but the price for the Oculus Rift coupled with Touch Controllers has been permanently lowered to $499. If you’re really short on cash, you might even consider buying the Oculus Rift headset separately from Oculus Touch controllers. You will save additional ~$40, a decent “discount” by all means. Besides the price, Oculus VR head of content and marketing Jason Rubin has stated that Oculus Rift users of today will get to enjoy their favourite VR headset for years to come. “Rift does not have eye-tracking. Rift might add some sort of wireless that can be a peripheral. Eye-tracking is more fundamental, as would be inside-out tracking, because Rift doesn’t have a camera system inside. So if Rift is going to be around for a while, that tells you something about how long we feel it’s going to take for those things to become integrated and part of a full release. I want to be clear: we are dropping the price to get more people in Rifts because we expect the next years to be very Rift-focused and Rift-centric. Better get used to this thing – it ain’t going away any time soon! Basically, Oculus won’t be introducing Rift 2.0 any time soon. So, there’s no reason to wait another 2-3 years for it come when the current generation of the headset is live and kicking. So, the only reason left not to finally get off the fence is the price. Rift is definitely more affordable at the moment, but Black Friday and Christmas buying frenzy are coming around the corner. It might be prudent to wait a bit longer and see if Oculus would be willing to slash $100 or even more off the price again. HTC Vive has also got a $200 slash to its dizzying $799 price tag. You can find used ones in very good condition for even less than $599. This price change was likely a reaction to Rift gaining market share on Vive with its recent summer sales and price cuts. “We want to really significantly boost VR adoption now across the globe. We think now is the right time to reset the price. HTC Vive has received iterative changes over the time, but no official declarations of new hardware have ever been announced. O’Brien said that these types of changes will likely continue for the time being. However, compared to ambiguity surrounding Oculus’es next-gen headset, he did mention 2018. Does that mean we’ll see a new product next year? Hard to say, but with critical developments such as Valve’s new “knuckle” motion controllers already in the pipeline, it’s certainly a possibility. The new lineup of Pimax headsets supporting up to 8K resolution is in full swing on Kickstarter. If not a true next-gen VR headset, Pimax 8K is certainly a step-up from Rift and Vive. 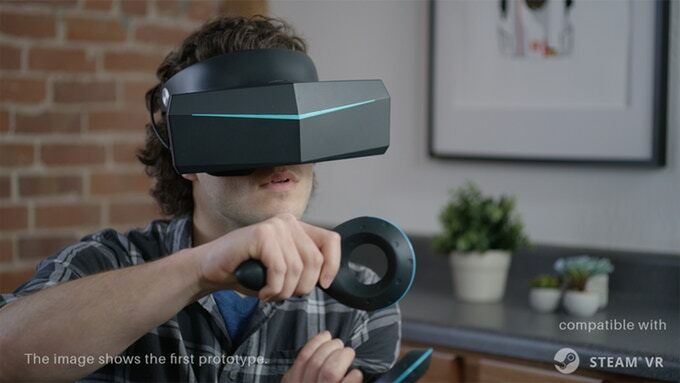 Amongst a myriad of features, the most notable ones in the 8K headset are 4K resolution per eye (2 x 3840×2160), insane 200 degrees FOV, supposedly no “screen door” effect, SteamVR readiness and compatibility with a single Vive lighthouse for 360 degrees positional tracking. There’s also a 5K version for those less obsessed with pixels and resolutions, which is still way more than Rift and Vive’s 2K. Looks edgy, right? Well, everything in and out of this headset is edgy at the moment. The Chinese manufacturer has had a 4K headset on the market for a while now. The market reception has been rather moderate, with about 30,000 sales worldwide. Customers have posted mixed reviews so far. Now, they claim they refined and tuned their technology and manufacturing to support 5K and 8K resolutions. After about a week on Kickstarter, the $200k goal has been blown by additional $950k, sitting at $1.15 million at the moment. Best of all? The 5K headset can be obtained by pledging as little as $349, while the 8K version comes at just $499. The supply is limited though. Some reward packages are already not available, so if something like this peaks your interest, you should hurry up.